It’s a heritage double-bunger! 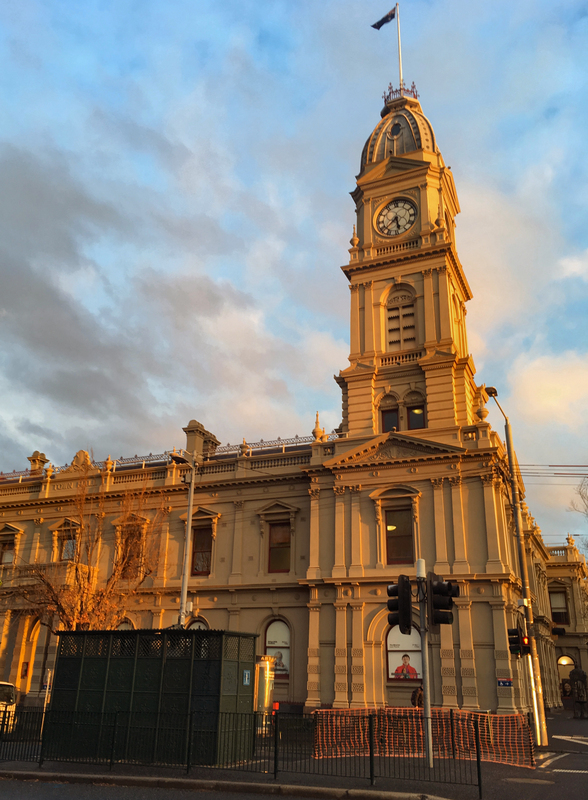 The old North Melbourne town hall forms a striking backdrop to one of the last remaining cast-iron urinals in Melbourne. Cast at a South Melbourne ironworks and installed in 1909, this fellas-only facility has seen two world wars, four Humphrey B. Bears, twenty-six** Prime Ministers, thirty-five test cricket captains, and more doodles than you can poke a di… poke a stick at. 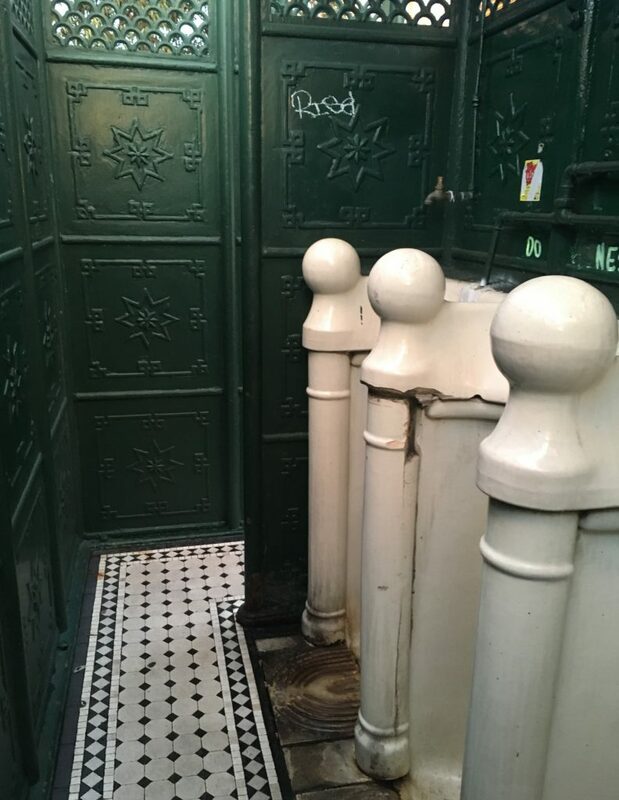 It’s a simple yet stylish affair from a more meticulous and elegant time, and the only one of its kind left in Melbourne with a full complement of original porcelain urinals. 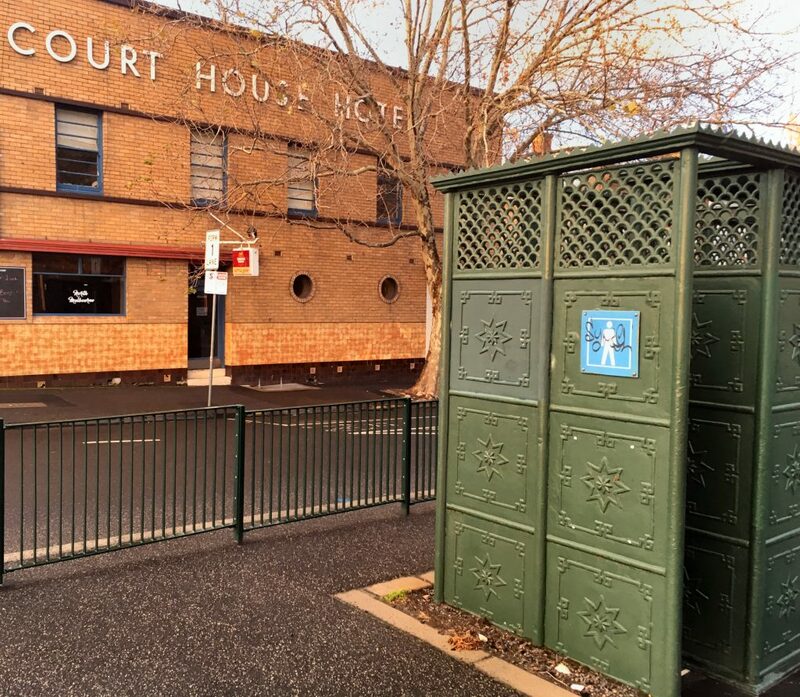 These were a marked improvement on what the late 19th century had to offer—open urinals over fetid on-street drainage canals that had the sole advantage of allowing men to wee without having to tie up their horse. 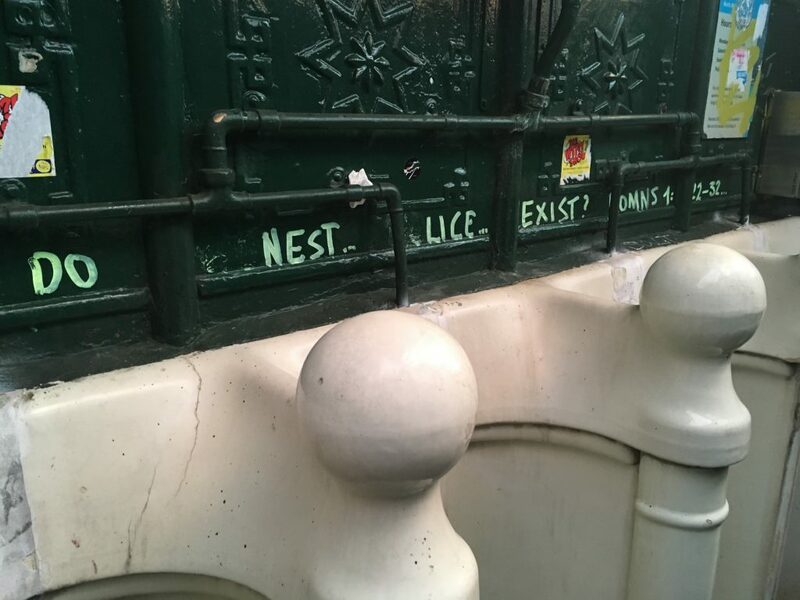 The tight yet discreet space gets up to four blokes weeing in more civilised surrounds, where they can ponder such questions as whether or not ‘nest lice exist’. 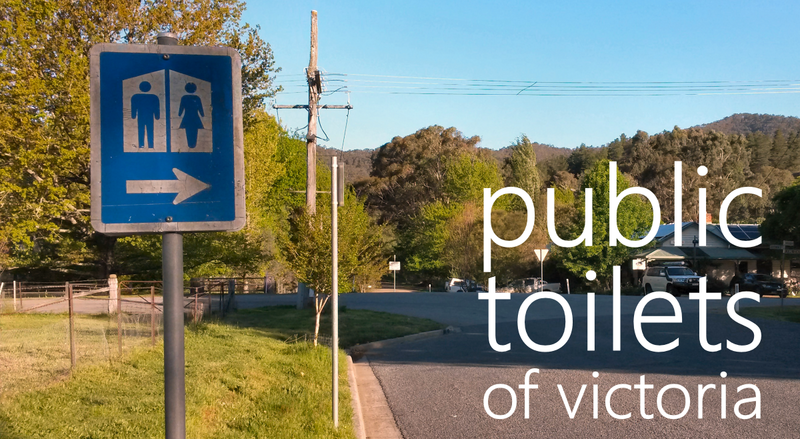 These days the only dunnies we seem to be able to whack up is soulless stainless-steel automatic self-washing numbers with a bad habit of trapping unwitting children inside to be squirted by the cleaning robot at a cost of hundreds of thousands of dollars. 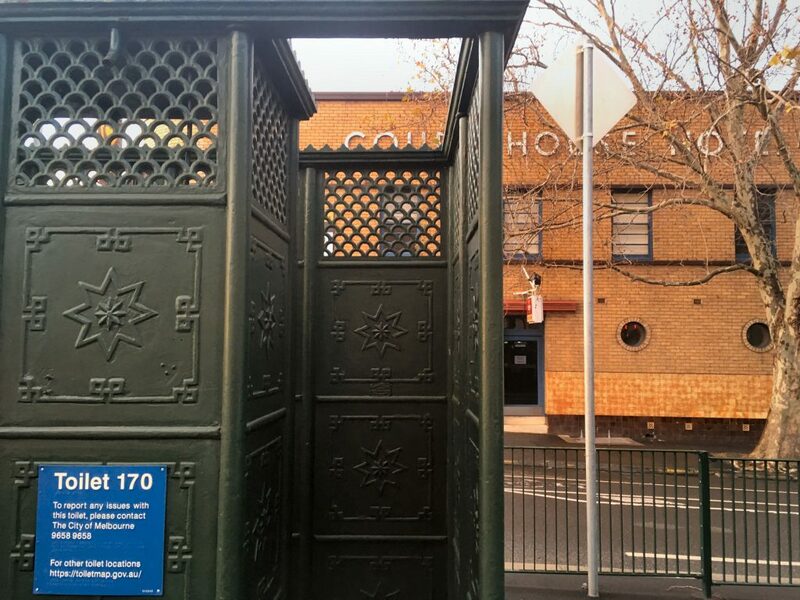 Get over to Errol St and pay your respects to a more timeless design!